Well, you may disagree with the title of this post but as someone who has a very hard time NOT using a recipe when fixing supper (unless it's something I've fixed since childhood), I consider this getting creative! 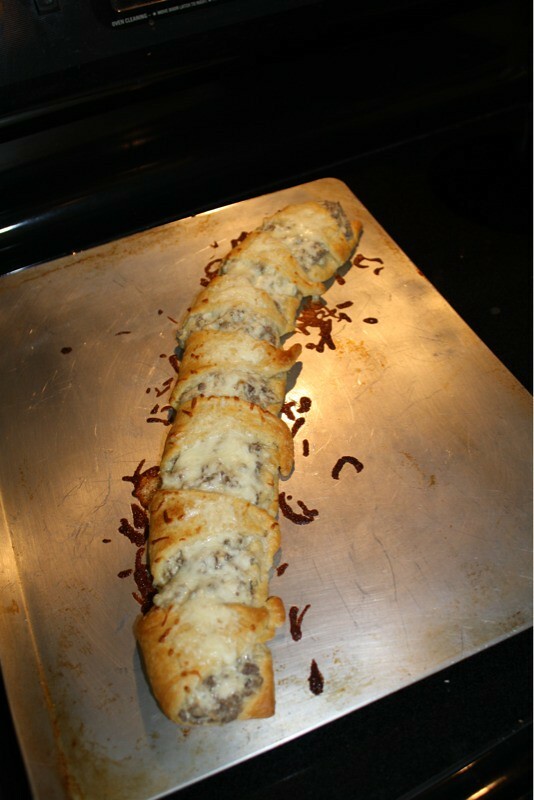 I have no idea what to call it...maybe Crescent Roll Hamburger Log? Doesn't sound too appetizing, huh? Have you used the Philadelphia Cooking Creme? I snagged the Italian Cheese & Herb variety with a coupon (for free) and was quite impressed with the flavor and ease of use. It's just me so I didn't want a lot of leftovers so I used half the cream cheese and ground beef and saved the rest for another day. I cooked up the ground beef with some salt and pepper and drained it. 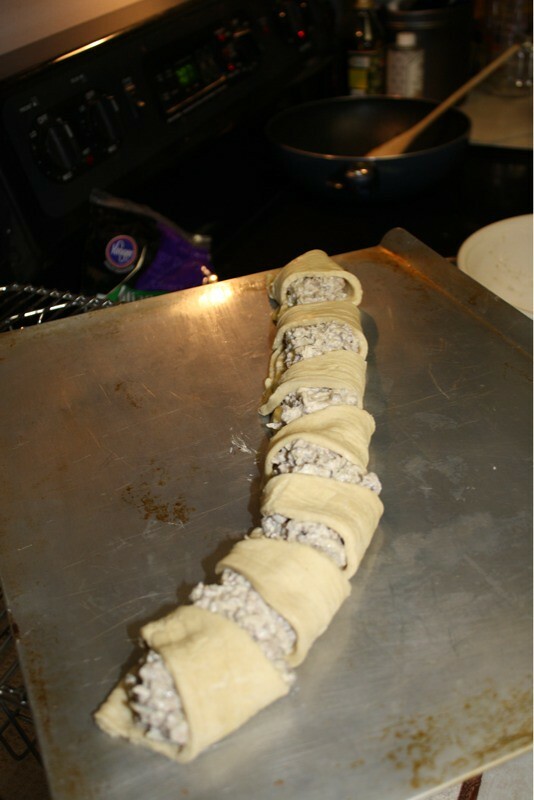 I popped open a can of Pillsbury Crescent Rolls and laid them out slightly overlapping on a cookie sheet. 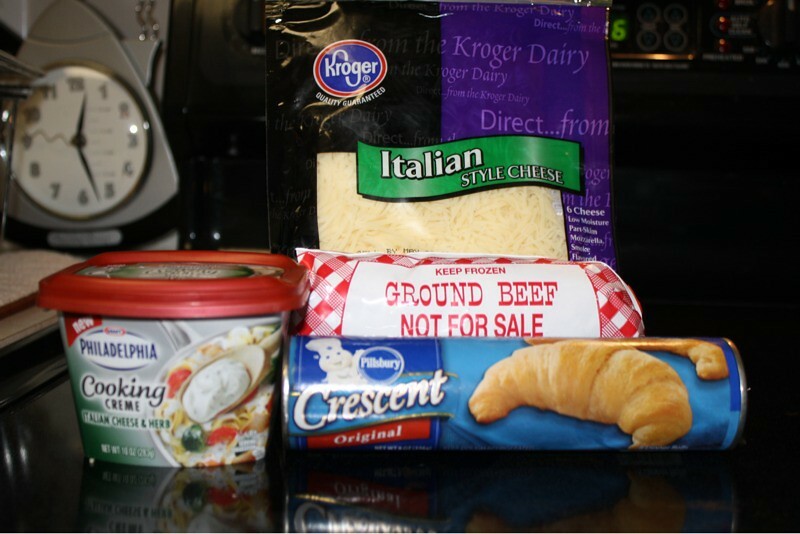 Then I combined half the beef with half of the container of cream cheese and a handful of Italian blend cheese. I scooped the mixture onto the fat ends of the rolls and folded the narrow end over the mixture and tucked it under the other side. I baked it at 375 for 11 minutes then sprinkled another small handful of cheese on top and turned on the broiler for about 2 minutes. It was tasty for a quick evening meal. I added some frozen veggies and called it a night! Not sure it's worth entering it into the Pillsbury Bake-off (http://www.bake-off.com/), but it was a good evening meal. 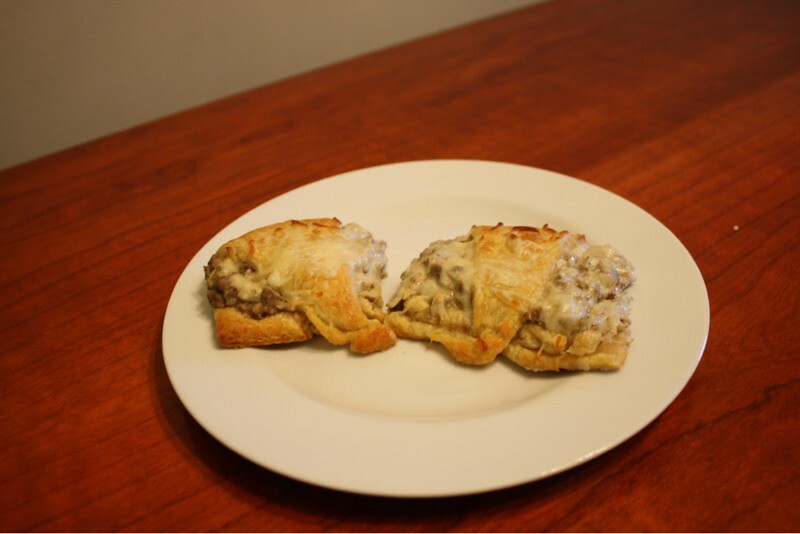 Don't forget to leave me a comment on my blog post from yesterday to be entered into a drawing for a Pillsbury Bake-off prize pack. Pillsbury provided me with the free product (to give away), information, and giveaway through MyBlogSpark. All opinions in this post are my own, of course! Hey, if it worked for you, it deserves to be in YOUR cookbook! I've tried the Philly Cooking Cream, and it was ok. I wish the sodium level was a bit lower, but I did like it with chicken and pasta. Wordless Wednesday: Where Have I Been?